If you’re in the market for a new toilet and are wondering how to pick the right height for it, this guide will help you make a good choice for yourself and your household. comfortably rest both feet flat on the floor while seated on it. The ideal toilet height will depend on how tall you are, your physical needs, and the manner in which you transfer on and off the toilet. Below we provide general guidelines for selecting a suitable toilet height for persons of differing heights and needs, followed at the end by tips for choosing the best toilet height for your own specific needs. Many people who are taller in stature find standard-height toilets (ones with a toilet seat height of 15-16 inches high) to be uncomfortably low. If you are of taller stature, a floor-mounted toilet labelled as being a “Comfort Height” toilet is a good consideration. Comfort Height toilets have a higher-than-average toilet seat height, typically ranging from 17 inches to 19 inches in height (measured from the floor to the top of the toilet seat). Examples of Comfort Height toilets are shown below. 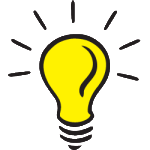 Most floor-mounted toilets have a toilet seat height that is less than 19″ tall. If you are seeking a toilet with a seat height that is exactly 19 inches or more, click here to learn about available options. 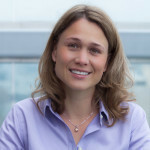 Persons who are shorter in stature (approximately 5 feet 4 inches tall or less) usually report preferring the standard-height toilets, with a seat height of 16 inches tall or less, to the taller toilet models, with a seat height of 17 inches or more, because the tall toilet models may prevent them from being able to rest their feet flat on the floor. When feet dangle down, it can cause pain in the legs or cause the legs to fall asleep while seated on the toilet. If you are someone who is shorter in stature and you experience difficulty standing up from a standard-height toilet, you might find yourself tempted to swap your toilet out for a taller model, however, most people who are shorter in stature that do so report they regret it later. 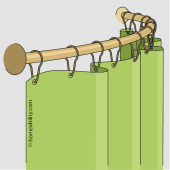 Instead, you may want to try simply attaching toilet rails to or around the toilet. The handles will provide you with a higher surface to push up from, which will oftentimes be just enough to provide you with the added “oomph” necessary to stand up by yourself. Or, another alternative is to place a standing pole beside the toilet, which can be used to help pull yourself up. Examples of toilet rails and a standing pole are shown below. If you rely on a wheelchair and you use a lateral-sliding transfer to move between the wheelchair seat and the toilet seat, it is usually best to select a toilet with a seat height that is nearly even with the height of your wheelchair’s seat (or even with the top of your wheelchair’s seat cushion if applicable). In the event you cannot find an off-the-shelf, floor-mounted toilet model with the seat height you need, you can consider having a wall-mounted toilet installed and positioning the toilet at the height you want. Of note, there will be some restrictions on the absolute minimum and maximum height a wall-mounted toilet can be installed, which will be influenced by the carrier system (support system) that gets installed inside the bathroom wall. So, make sure to confirm that the wall-mounted toilet model and corresponding carrier system selected will indeed support the specific height range you require, prior to ordering. 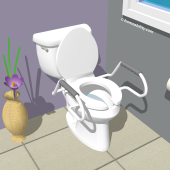 Some wall-mounted toilets will allow for a seat height of 28″ or more. Examples of wall-mounted toilets are shown below. A portion of the toilets that are installed in facilities being used by the general public are required to meet the Americans with Disabilities Act Accessibility Guidelines (aka ADAAG or ADA for short). The toilet seat height ranges that have been mandated by the ADA are ones that studies have shown work best for meeting the needs of the greatest number of users with disabilities. The ADA recommended toilet seat height ranges (measured from the floor to the top of the toilet seat) for adults and children can be found in the table below. Children’s toilet seat height ranges are typically only used in public facilities that cater primarily to young children (i.e. a primary school or children’s group homes). It is important to be aware that ADA height toilets do not automatically work well for all individuals with disabilities! 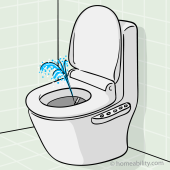 If the toilet is being selected for an individual living in a privately owned home, make sure to select and install one that is best suited for the individual’s needs, whether it falls within ADA guidelines or not (some exceptions may apply, however, if public funding is being used to cover the home modifications). Examples of ADA height toilets are shown below. Studies indicate that a squat-like position, with hips located below the height of the knees, is better for naturally moving the bowels. If you suffer from constipation, you may want to consider selecting a toilet with a lower seat height that allows your hips to rest below the height of your knees. That said, if you experience trouble standing up from low surfaces, then a toilet with a lower seat height will not be the right answer. An alternative to choosing a lower toilet height is to use a step stool designed to fit at the base of your toilet. By resting your feet on top of the step stool, you can achieve a squat-like position. Examples of toilet stools are shown below. What’s the Right Toilet Height for You? Standing Transfer: Person sits down and stands up independently. Lateral Sliding Transfer: Person slides sideways from a wheelchair seat over to the the toilet seat. Mechanical Lift: Person transitions on and off the toilet with the assistance of a mechanical lifting device, such as a hoyer-style lift or ceiling lift. STEP 1: When seated, measure from the crease at the back of your knee down to the floor. (If you normally wear shoes in the home, take this measurement with your shoes on. If you do not normally wear shoes at home, take this measurement with your shoes off.) The measurement from the crease of your knee to the floor defines the ideal height, making it possible for you to sit with your thighs comfortably supported by the seat and both feet resting flat on the floor. If you have difficulty standing up from low surfaces, this height is also the absolute minimum toilet height you should consider. STEP 3: Select a toilet with a height that resides within the minimum and maximum height range determined by the measurements you took in Step 1 and 2. If you have difficulty getting up from low surfaces, it is generally recommended to pick a toilet model with a seat height that is as close to the maximum height range you consider to be comfortable in Step 2. 2. Lateral Sliding Transfer: If you get on and off the toilet by sliding from a wheelchair seat over onto the toilet, select a toilet with a seat height that matches the height of your wheelchair seat. Measure from the top of your wheelchair seat (or top of the wheelchair seat cushion if you use one) to the floor below to determine the ideal toilet height. OPTION 1: The most comfortable toilet seat height for most mechanical lift users is a seat height that allows the thighs to be horizontal and the lower legs to be vertical, forming a 90-degree angle at the knee, thereby making it possible to sit with your thighs comfortably supported by the seat and both feet resting flat on the floor. To determine a height allowing this posture, measure from the crease at the back of your knee down to the floor when seated. (If you normally wear shoes when you transfer onto the toilet, take this measurement with your shoes on. If you do not normally wear shoes when sitting on the toilet, take this measurement with your shoes off.) Select a toilet model with a seat height that matches this measurement. 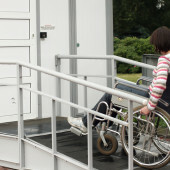 OPTION 2: Most users of mechanical lifts are confronted with limited physical mobility, which can have the side effect of more difficulty moving the bowels. If this is true for you, you may alternatively want to consider selecting a toilet with a seat height that is a few inches lower than the measurement derived from Option 1 above. A lower toilet seat height can help you achieve a more natural squat-like position, which is reported to help ease movement of the bowels. When there are multiple persons living in the home and there is only one toilet, make sure to select a toilet height that is a good compromise between the needs of all members of the household! When selecting a new toilet, the height of the toilet seat is just one important aspect to take into consideration. If you use a walker, wheelchair, or you are trying to make your home livable for all ages, then it is important to consider the toilet’s size and shape as well. 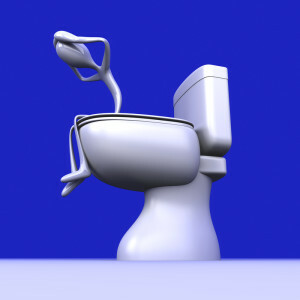 To learn more about selecting the ideal toilet shape, click here. For taller persons, replacing a toilet with one that has a higher seat height is one option. Alternatively, you can consider adding a pedestal below your existing toilet or a raised toilet seat to the top to increase the height. To learn more about these options, read Accessible Toilets & Toilet Equipment: The Basics.